Today's daily lunch run to Gansevoort Market was met with some very sad news. Employees at the posh Meatpacking food hall have confirmed rumors that the market will be moving this year, and while it is a usually overpriced hellscape of tourists via the Whitney, we must admit we got a little teary. Why the move? Reports point to Pastis, Keith McNally's neighborhood mainstay which shuttered its original location in 2014, just a block away. This past August, it was confirmed that McNally signed a lease to the Gans Market building (whose own lease was only good for two years), prompting plenty of real estate gossip, despite insistence by the market's owners that it wasn't going anywhere. But alas, today we were warned that the end was indeed nigh. Off the record, we hear that it will be moving across the street from the Apple store on 9th Avenue, which is uncomfortably close to Chelsea Market. 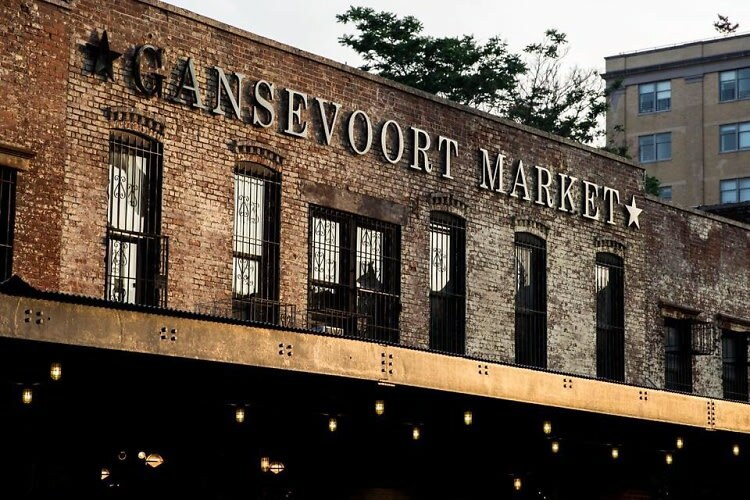 How many high-end food courts do we need in a two-block radius, you may ask, but the real question here is: Will Gansevoort Market still be Gansevoort Market once it's off Gansevoort Street? Guess we'll just have to wait and see.